A fabulous new addition to our Sealife collection. Painted with vibrant light turquoise, blue and green glazes and stands upon a unique piece of white painted driftwood from the shores of Jersey. A MUST for any home. 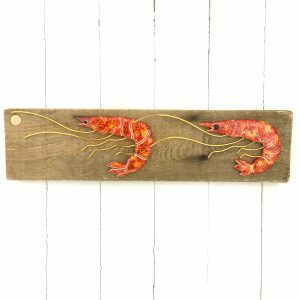 A duo of bright orange prawns with copper wire feelers and legs mounted on driftwood collected from Jersey’s beautiful beaches and inset with a ceramic J button to signify artistic authenticity. 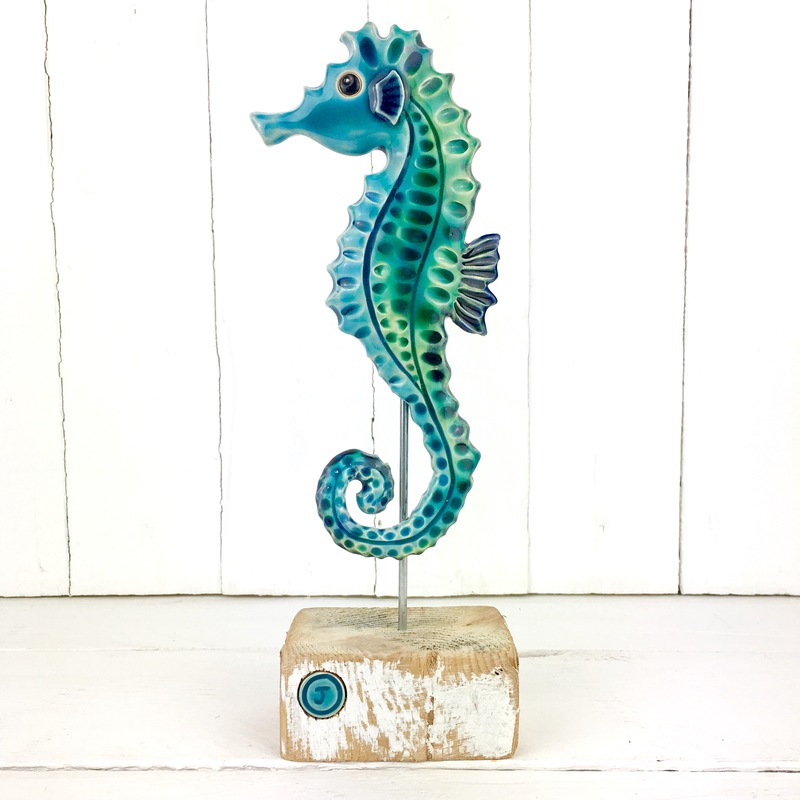 A fabulous new addition to our Sealife collection. 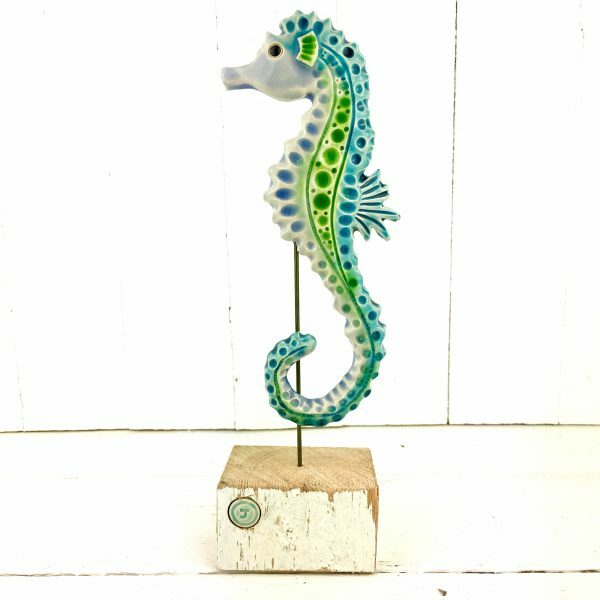 Painted with vibrant turquoise, blue and green glazes and stands upon a unique piece of white painted driftwood from the shores of Jersey. A MUST for any home. A fabulous new addition to our Sealife collection.there is already a lot of interest in this little chap. 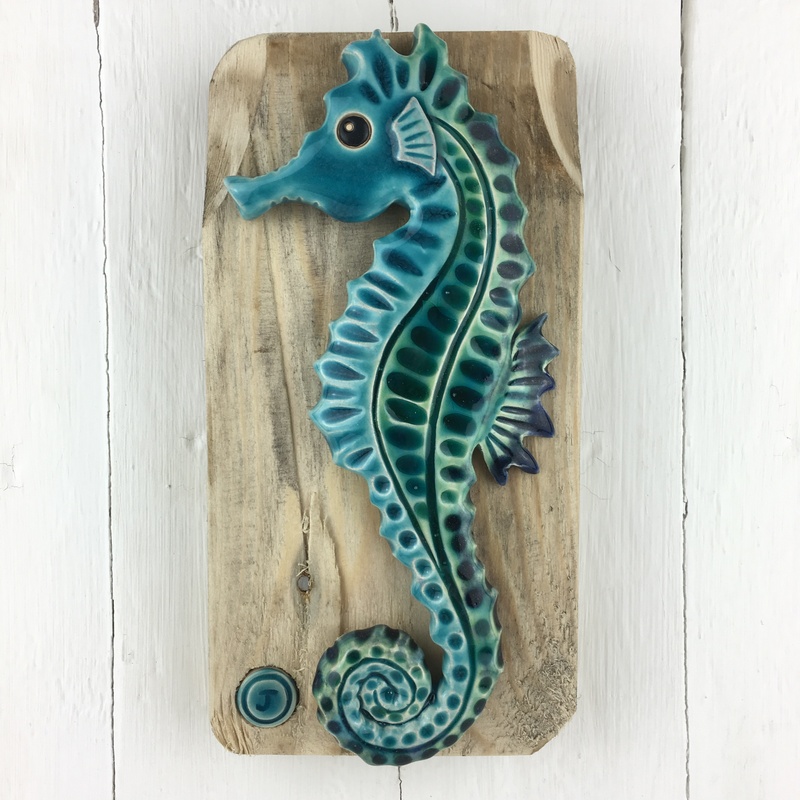 Painted with vibrant turquoise, blue and green glazes and sits upon a unique piece of driftwood from the shores of Jersey. 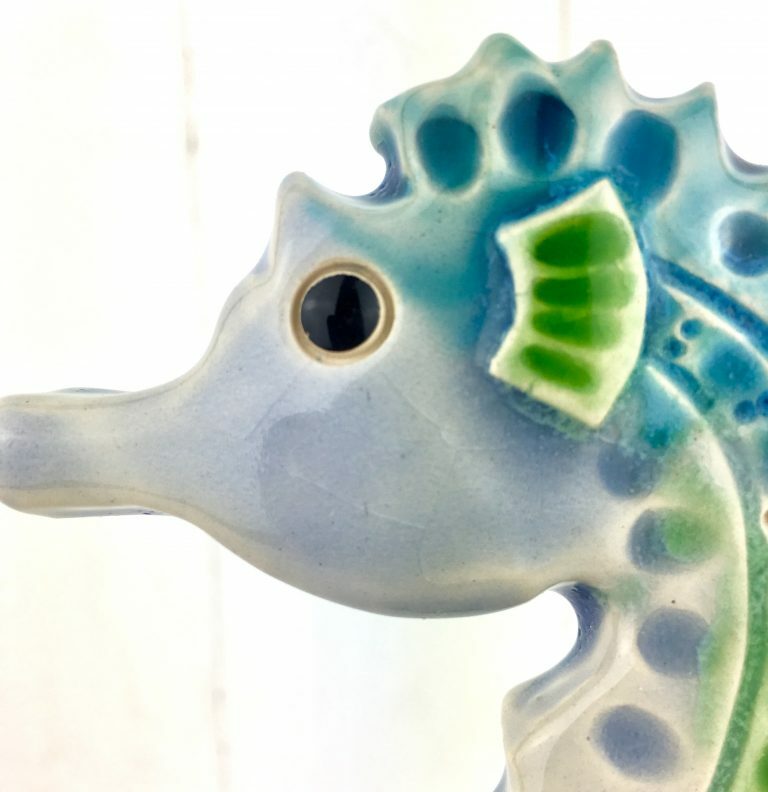 A MUST for any home. 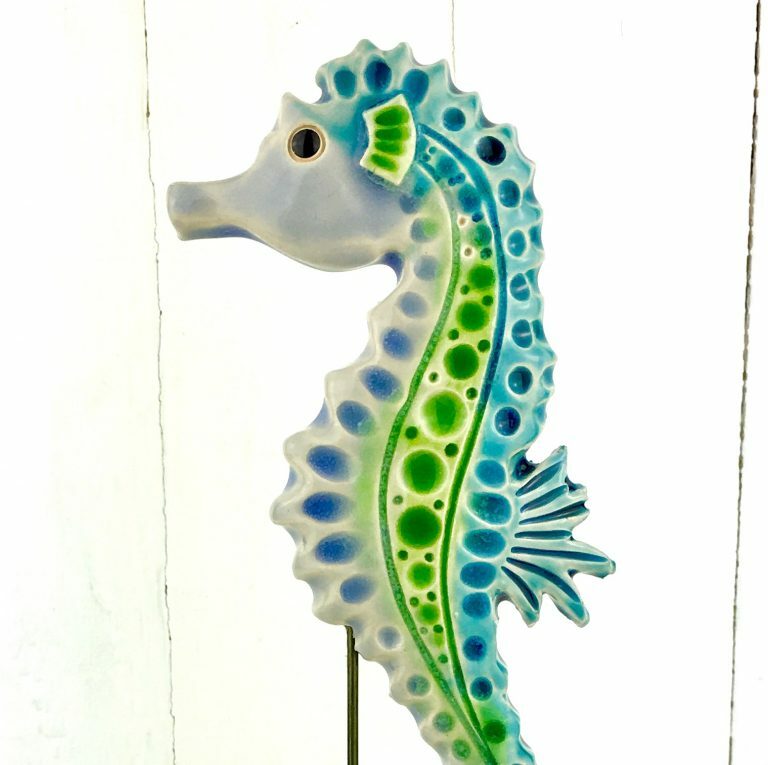 A fabulous new addition to our Sealife collection. 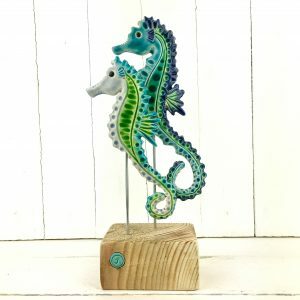 This duo of large and medium Seahorses are painted with vibrant green, blue and turquoise glazes and sit upon a unique piece of driftwood inset with a blue J button of authenticity.